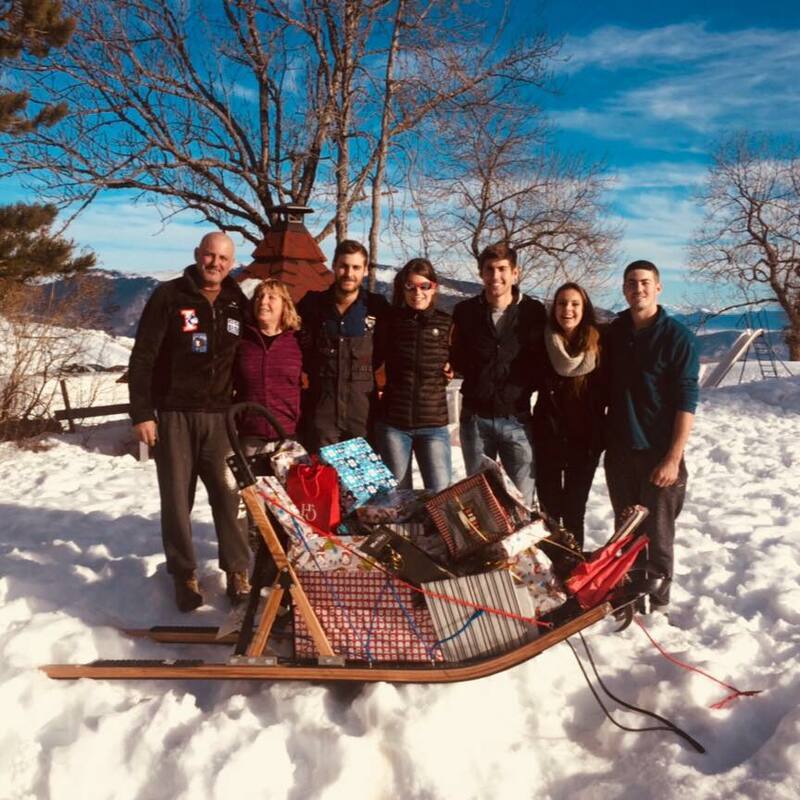 The team Coffre: a great love story with sled dogs, an inveterate family passion. Our first husky dog ​​Nouchka, first appeared in our lifes in 1995, a beautiful love story between dog and man. Having just quit smoking, my husband Thierry started running with her. That’s how we discovered cani-crossing, sharing sport with mans best friend and nature. Throughout our journey, We met lovely people, allowing us to try sled dog racing. The pack grew relatively quickly and we made our debut in snow and land competitions very quickly, our three boys became very quickly addicted to this sport. Gregory and Anthony were quickly selected in the French team (FFPTC). When Anthony was 16 he became vice-champion of the world in 2012 in sprint, and European champion in 2012 and 2013 for mid-distance getting multiple titles for the races in France. Thierry finished 4th at the European long-distance championship in 2012. When Gregory was 17 years old he finished and earnt bronze medal (2011) in cani-cross in the European Championship land, 13th at the world championship and 4th in the championship mid-distance. Then we specialized in long distance, In 2010 Thierry made the trophy Haute Maurienne of the Grande Odyssée : an extraordinary race with marvelous landscapes, and very beautiful reliefs. In 2012 Gregory followed his father’s footsteps and participated at the trophy of the Grande Odyssé in 2013. In 2014 Gregory participated at the Grande Odyssée Savoie Mont Blanc and finished 13th at scratch and the 4th in the Nordic rankings, at the age of 20, he was the youngest musher to commit this adventure. The same year, Anthony made the Vaudois TransAlp in Switzerland and finished 4th in the standings. In 2015 Thierry made the Grande Odyssée Savoie Mont Blanc and finished in 12th place at scratch and 7th Nordic. After two years of non participation at races, the TeamCoffre decided to start again with the Grande Odyssée Savoie Mont Blanc in January 2019 with a team of young Siberian husky, our eldest son Gregory still makes our dreams come true. Indeed, we are mushers (sled drivers) since 1995, competitor since 1997 and offer sleigh rides for the past 15 years, as an association. We worked on Longchaumois station in the Jura for 10 years on weekends and winter holidays. Finding no sponsor in France, it is the only way we found to self finance our sport. In December 2018 we offered our services as a professionals to Praz de Lys / Sommand station.